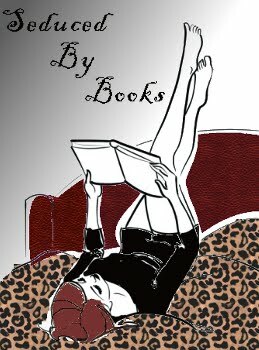 Seduced By Books: Butterbeer anyone? For all of you Harry Potter fans out there, I have something tasty for you to try. Since I live in Orlando, I was able to go to The Wizarding World of Harry Potter at Universal Studios before it's grand opening. This was great because now that it's open it has insane lines for everything! It takes hours just to get into the WWoHP section of the Universal, and then there are long waits for everything once you get in, too. Anyway, the park is amazing! Universal did a great job (of course) of capturing the feeling of the books/movies in all the details. 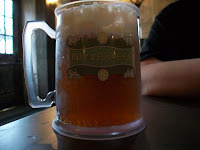 One of the things I was most excited to try once I got there was the butterbeer. It's as delicious as I imagined it would be. :) As some of you know, another hobby of mine besides reading is baking/cooking, so I figured I could make a tasty butterbeer at home. I searched on the internet and tried a couple recipes I found on there, but they weren't quite right. So I played around with them a bit and came up with what I think is a butterbeer recipe that's pretty close to what they serve in the park. So for any of you out there that have wanted to try butterbeer for yourself, here's the recipe!! Whip together until thick and foamy, not fully whipped like whipped cream. Set this aside – it’s the topping for the drink. If you find that the foam that it creates on its own is enough that you don’t want the whipped cream mixture, decrease all the ingredients by 1 tbsp.